With a 131 Ounce Square Plastic Container placed on your counter filled with small merchandise, everyone can see what's available. These trendy square containers will quickly turn browsers into buyers when your items are beautifully displayed inside. 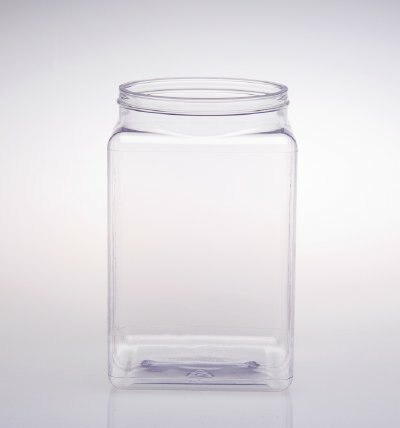 This clear plastic jar is perfect for getting attention and more sales in your retail or candy store. Use all 12 of these plastic jars to line the walls of your store with delicious treats. Use these large bins to store your overstock. You will find many uses for your wholesale candy jars from displays to storage. Add some to your cart today at All Candy Containers. Q: Do these jars come with a twist on lid? A: These jars come with a white screw on lid.